Utensils and eggs fly through the air juggled with swift hands. Shrimp is flipped into shirt pockets and a fire shooting volcano made of onion rings rounds out the performance before the meal is cooked. 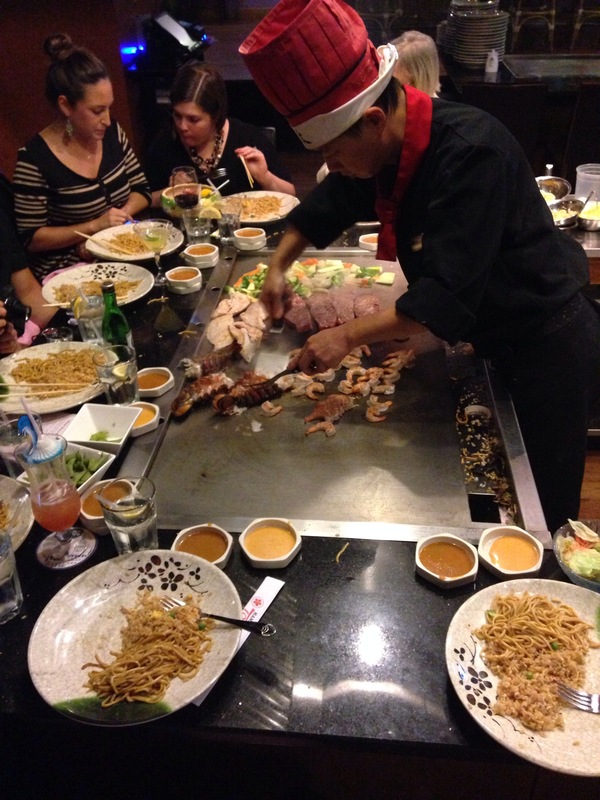 Taking dinner and a show to a whole new level, hibachi chefs perform and amaze diners at communal tables with different tricks as they dice, slice, flip, and toss food into the air and even into diners’ mouths! 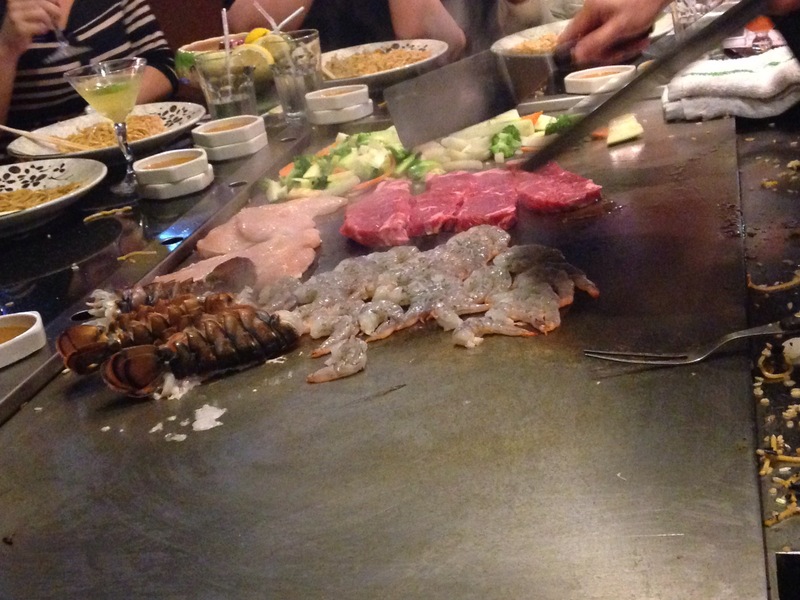 Hibachi, or Japanese Steakhouse or Teppanyaki, has become increasingly popular in the U.S. ever since Benihana began it’s restaurant chain in New York City in the 1960s. The menu is often simple – beef, chicken, shrimp, noodles, rice, and vegetables – but it is the ability to have your food prepared as you wish before your very eyes and the synchronized delivery to each diner’s plate never ceases to amaze. 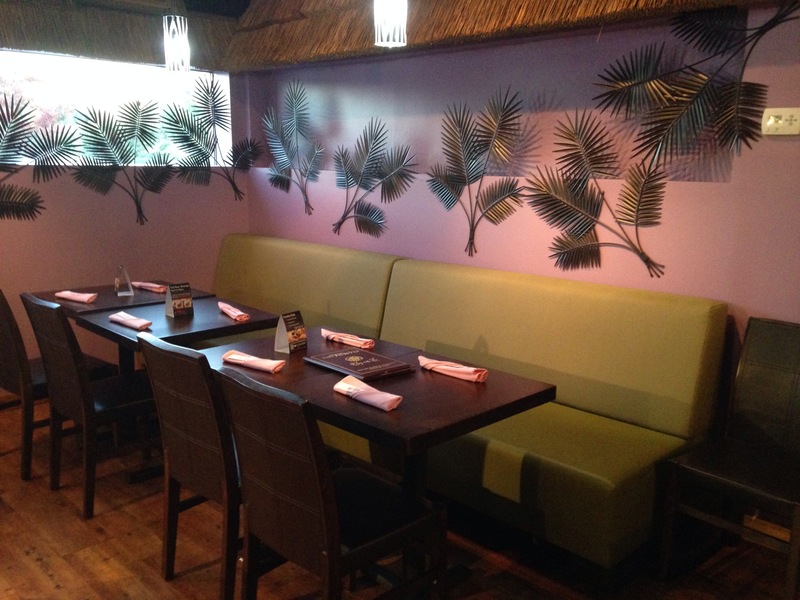 There is a new hibachi restaurant in Fairfield County that sets itself apart from the others notably for its friendly staff, entertaining hibachi experience, and its food – Hana Tokyo, Hibachi & Sushi Lounge. 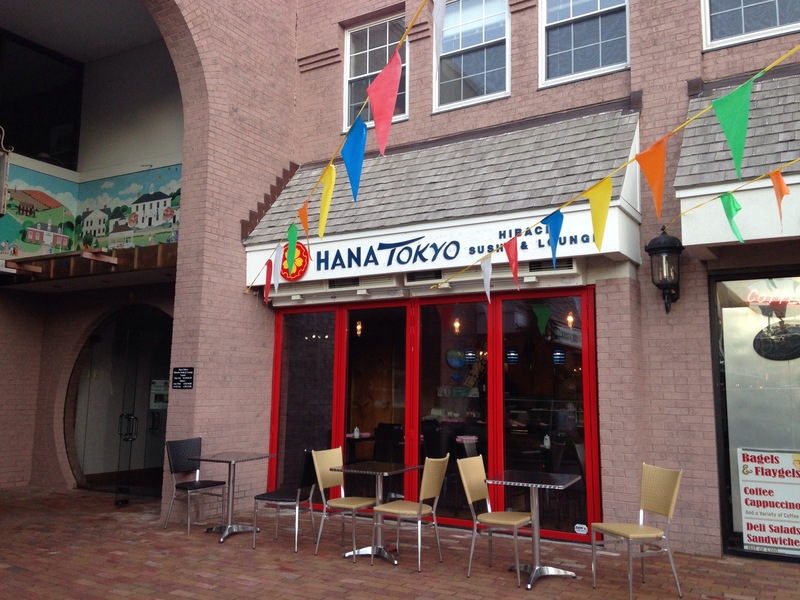 Located in The Brick Walk in Fairfield, Hana Tokyo offers a traditional hibachi and sushi menu along with lunch specials and local delivery. 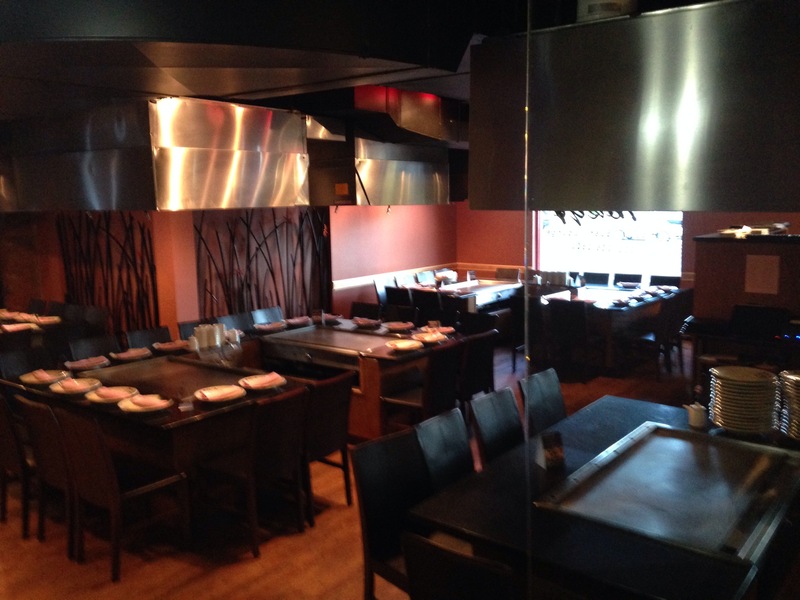 Hana Tokyo offers several dining options to fit your needs, so if you aren’t in the mood for a communal hibachi experience, the bar and lounge area might be just what you’re looking for to enjoy drinks and appetizers. 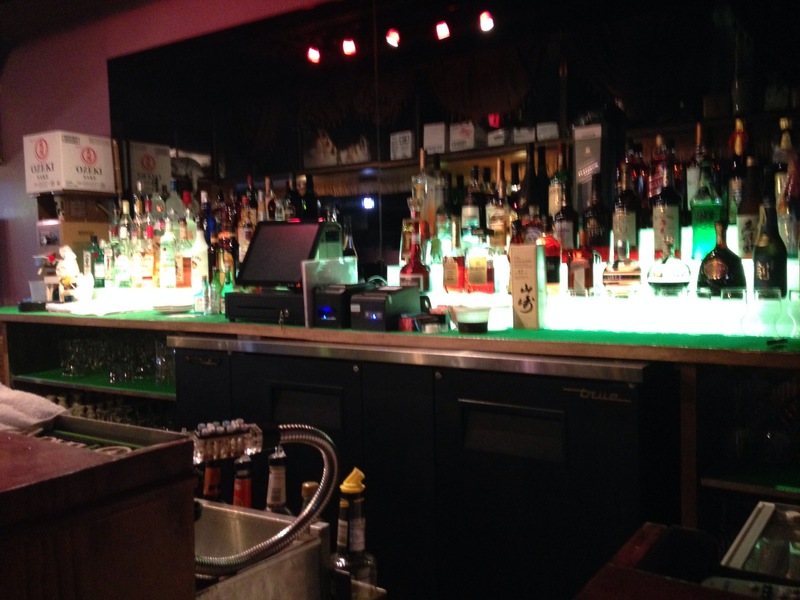 Also, the bar area is slightly elevated from the rest of the restaurant so you can watch the hibachi even if you don’t choose to partake in a hibachi dinner. Before we sat down together for hibachi we did just that and enjoyed cocktails, chef’s specialty rolls, and sashimi in the bar and lounge area. 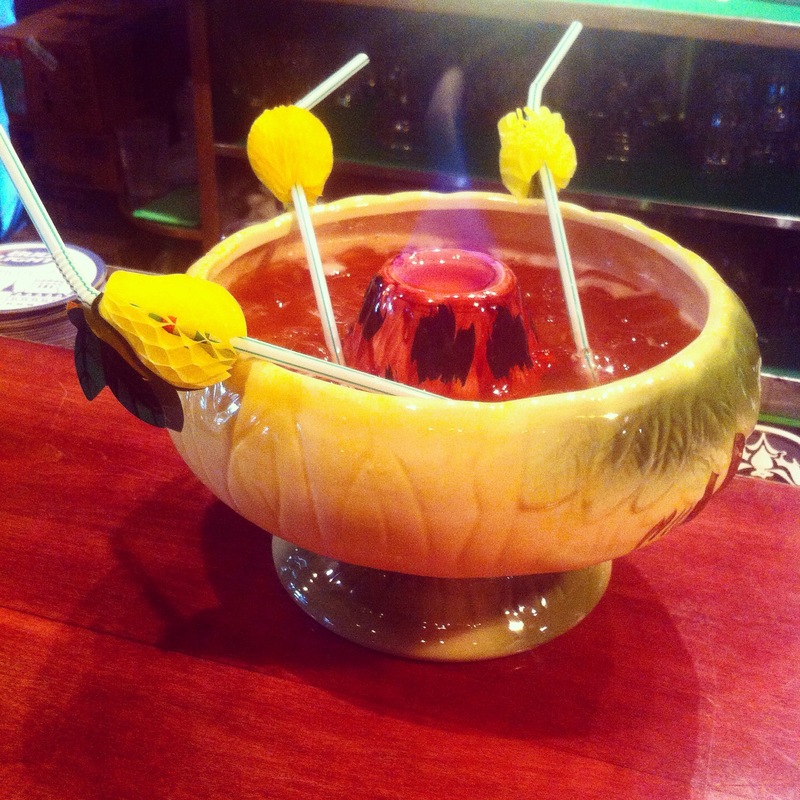 With a full bar, Hana Tokyo has many cocktail My favorite is the Scorpion Bowl, a cocktail meant to share with several people because the glass is the size of a bowl! We tried three Chef’s Specialty Rolls: Rainbow Roll, Magical Roll, and Dynamite Roll. 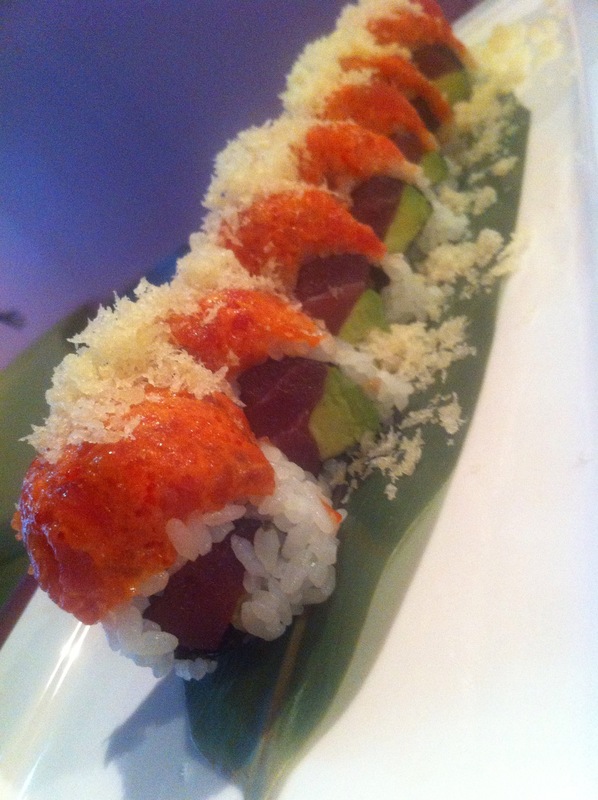 Inside the Rainbow Roll is crabmeat, avocado and cucumber, and outside is tuna, salmon, and avocado. 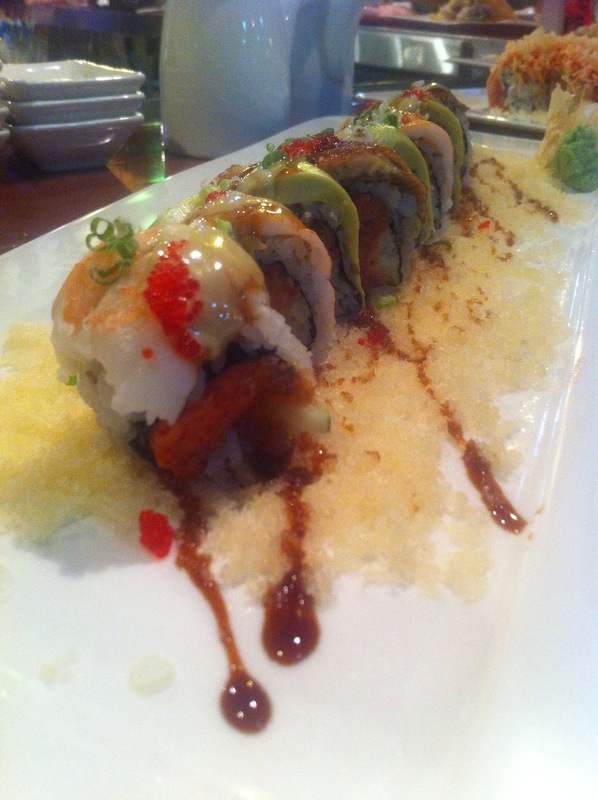 The Magical Roll is made of spicy crunchy tuna, cucumber topped with smoked eel, shrimp, avocado, tobiko, and scallions. 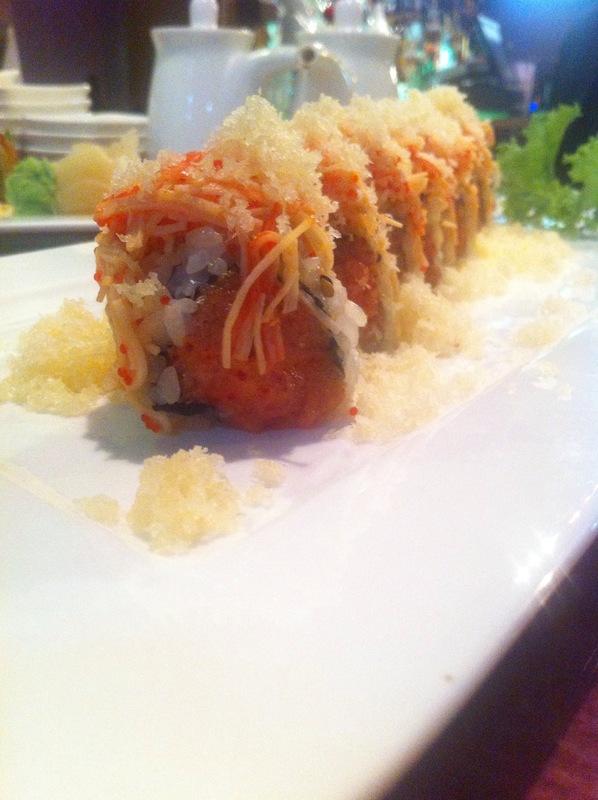 Our final roll of the evening, the Dynamite Roll includes spicy yellowtail and tuna topped with spicy crunchy crabmeat. 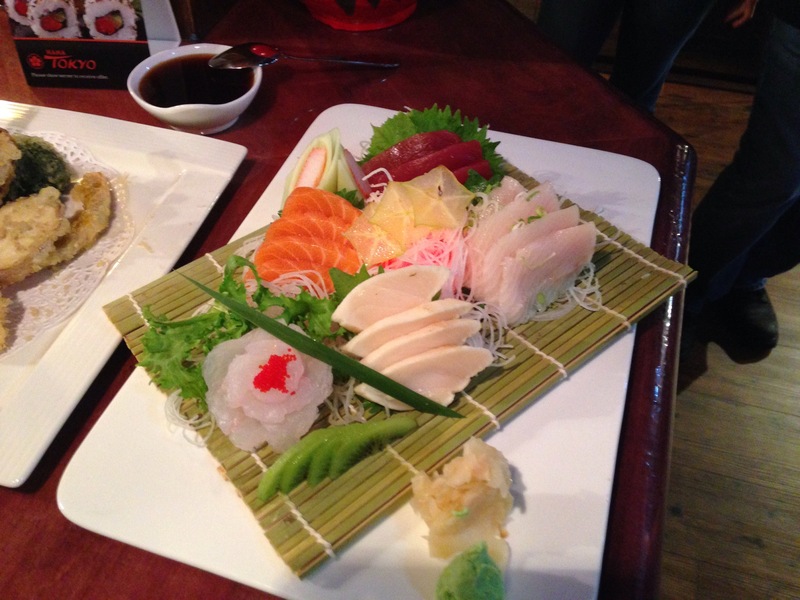 The sashimi we tried included tuna, salmon, flounder, yellowtail, and crab. 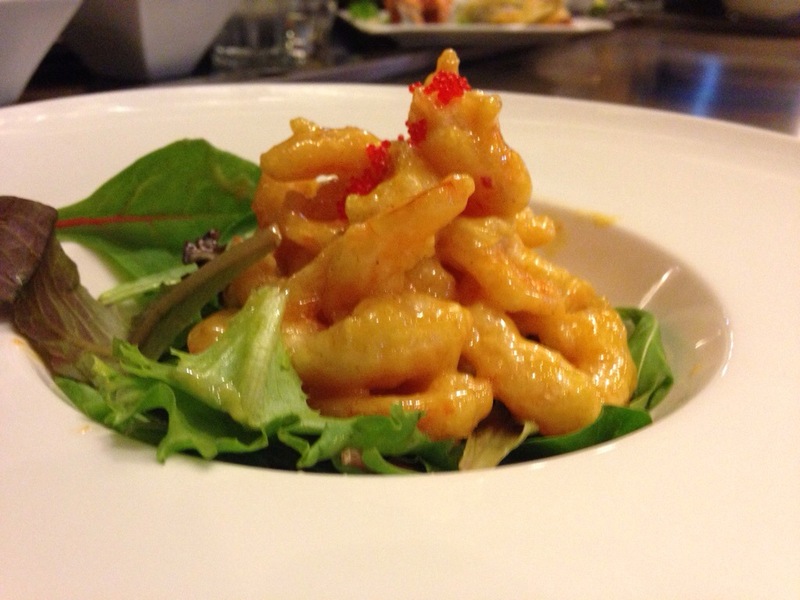 The Shrimp and Vegetable Tempura is lightly battered and fried, and is served with a homemade tempura sauce. 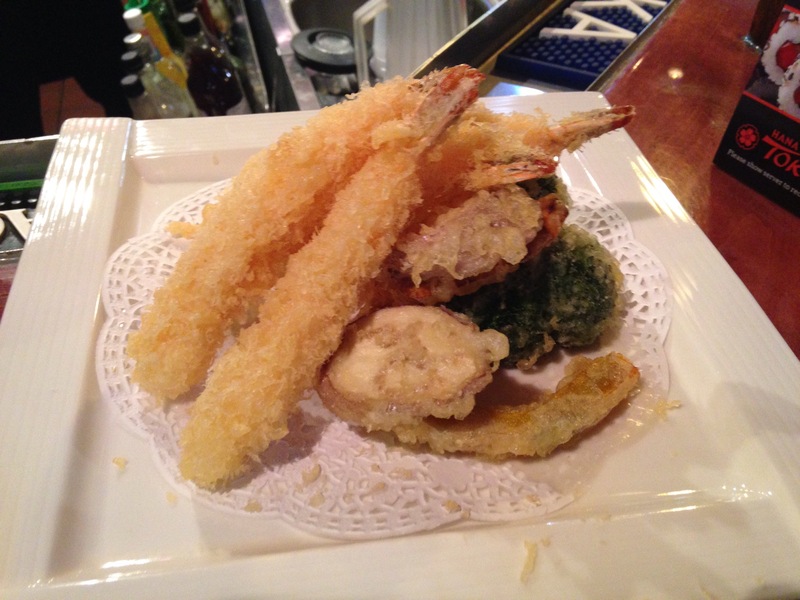 Despite being fried, the tempura was indeed very light and had a slight crunch to it. 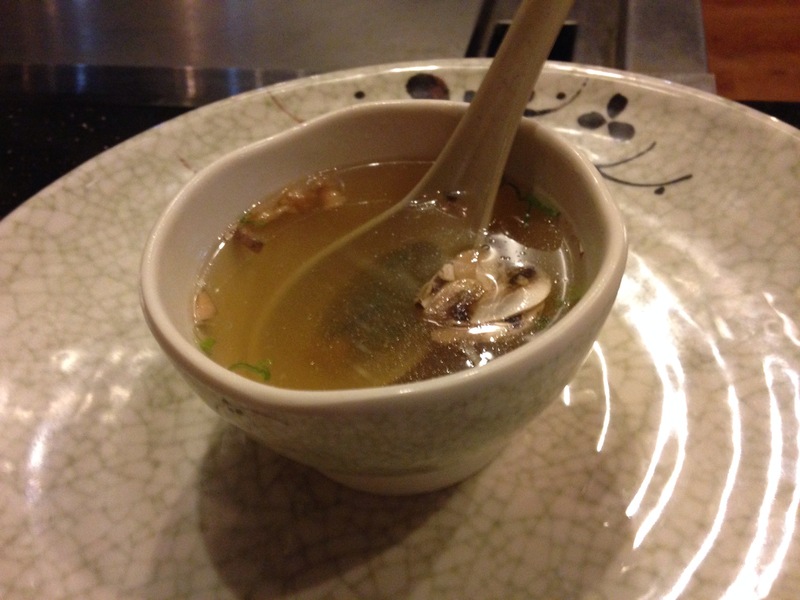 After we had our fill of rolls and sashimi we moved to a Teppanyaki table and enjoyed some more shrimp and a clear broth soup. 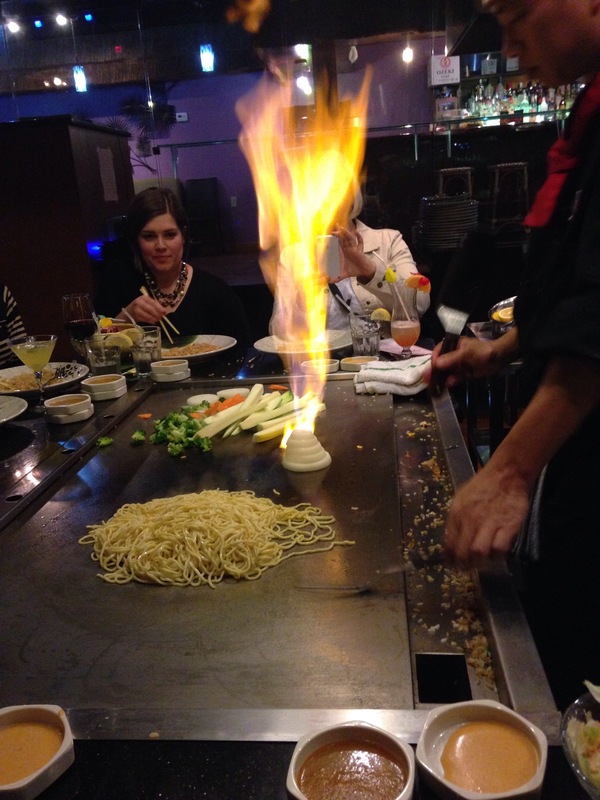 The hibachi part of our visit to Hana Tokyo was enjoyable for both the experience and the food itself! 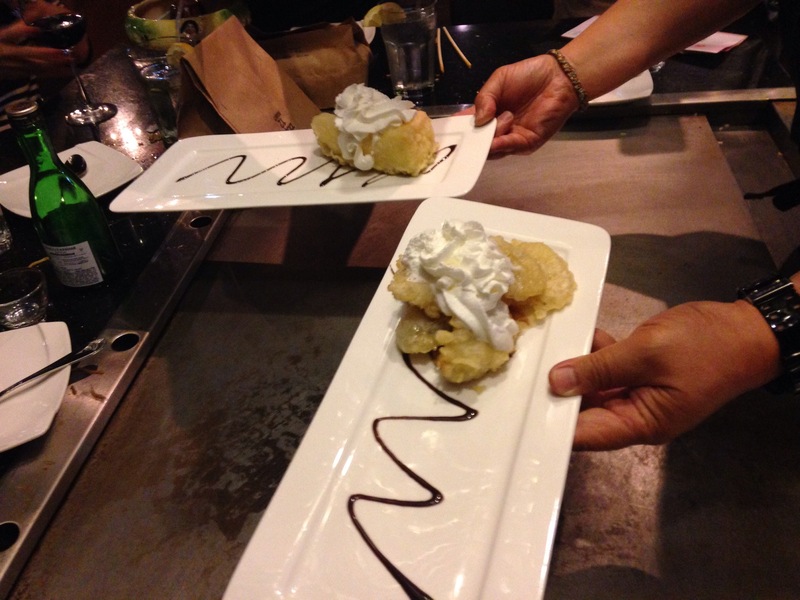 We finished the evening with several desserts: Fried Cheesecake, Fried Bananas, and several flavors of ice cream. 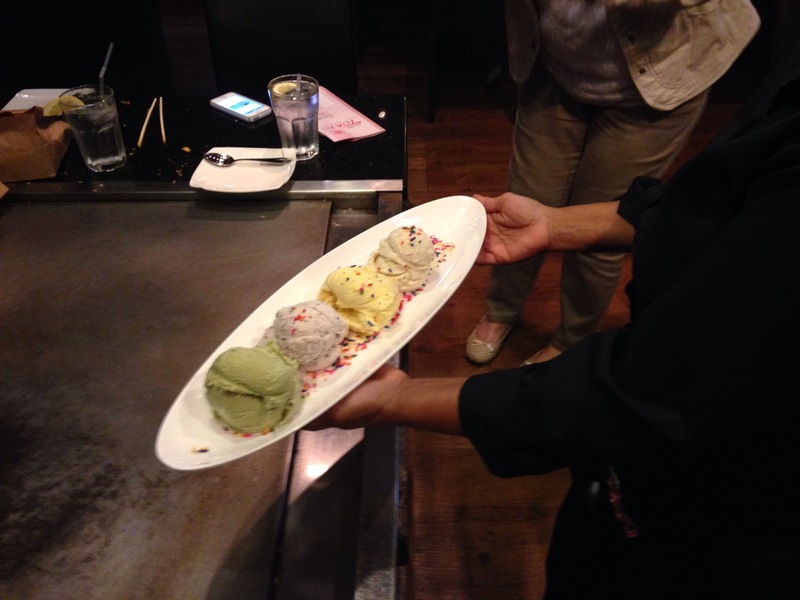 All were equally delicious, but my favorite was all the different flavors of ice cream such as coconut and green tea. Fried Cheesecake (left) and Fried Bananas (right). Coconut, mango, red bean, and green tea ice cream.